By the uber talented Alison Lester, The Very Noisy Baby is a delightful picture book little ones will adore. It’s all about a baby. A very noisy baby! A baby who is so good at growling and roaring and neighing, that people keep mistaking her noisy sounds as the real thing. One by one, they travel across town to the little pink house and knock, knock, knock on the door in search of their lost animals. But, of course, there are no animals in the little pink house on the edge of town. Just one very noisy baby! Written with beautiful rhythm, and with many rhyming parts, this is a super fun book to read aloud. There are animal sounds to squawk and roar on every page, and repetition throughout the story makes this one very engaging for young children. As the story comes to an end, the very noisy baby uses her noisy skills to help find the missing animals, which also creates a wonderful guessing game for readers and listeners to play as the baby makes noises and the page must be turned to discover which animals will emerge from the bushes. This would be a great book to read to a group, and it would also be an excellent choice for reading to little wrigglers who find it difficult to sit and pay attention. But I love that it’s also a story for mums, dads, grandparents and carers. It’s a celebration of the magical (and often hilarious) sounds babies make, and the memories it evokes as you read it are precious. And, as always, Lester's illustrations are simply gorgeous. Her soft and colourful style will bring smiles to all faces, and the pictures have been nicely balanced with lots of white space so they pop on the page and are easy to focus on for younger ones. 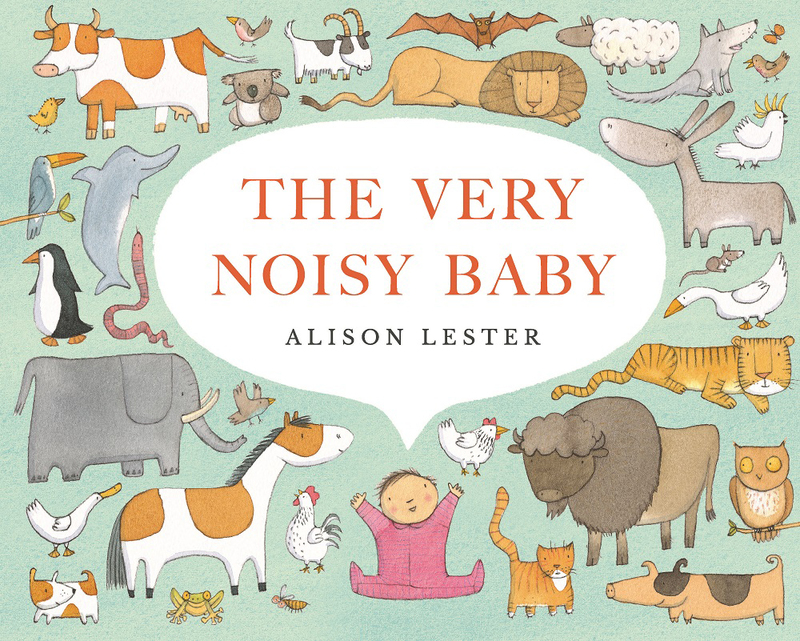 A beautiful and highly engaging picture book, The Very Noisy Baby will make a fabulous addition to your Alison Lester collection. And if you’re looking for more Alison Lester books, why not check out Alison Lester’s Wonderful World, Run Like a Rabbit and Growl Like a Tiger, Magic Beach, Purr, Sophie Scott Goes South, Running with the Horses, Kissed by the Moon, My Dog Bigsy, Noni the Pony Goes to the Beach, The Journey Home and Are We There Yet?.